That big diamond looking fountain on City Walk has a new set of pretty colours to delight passers by. I have always had a bit of a soft spot for light shows, so I’m all for it. The daily show rotates with colours depicting ‘rainbow’, fire and water. 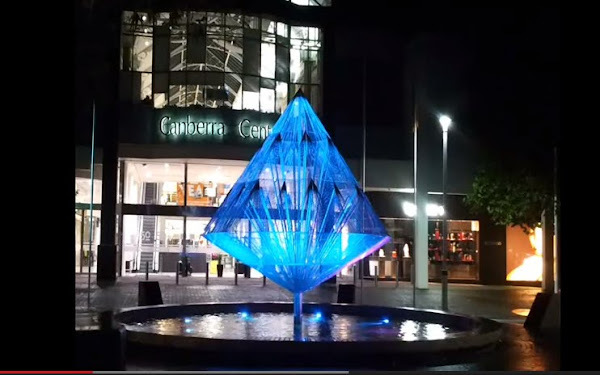 If you would like some information on the new fountain you may not ask about it at the Garema Place tourist information booth because it is being removed for Winter, because the tourist guides are weak. You represent Canberra little booth, so buy a jacket and a beanie and embrace Canberra’s winter!